From charging your phone to large-scale manufacturing – everyone relies on reliable and affordable electricity. The rapid development of the world has resulted in a dramatic increase in the demand for energy resources and spurred the growth of a global energy economy. The SmartState Center for Strategic Approaches to the Generation of Electricity (SAGE) is developing a broad, cutting edge research portfolio focused on novel technologies to enhance the environmental performance of electricity production, by providing sustainable solutions to the industrial based research problems in a fast pace with the development of high-throughput experimentation for nanomaterials discovery and optimization. As stationary sources constituting the majority of electricity generation, part of the research in the center focuses on developing novel nanomaterials for mitigating the pollutant emissions, catalysts for syngas production, and coal slagging gasification reactors by combining our national leading capacities, including multi-purpose high-throughput screening, advanced spectroscopic techniques, and patented nanomaterial synthesis methodology. Additional research efforts at SAGE are on the development of combustion technologies, i.e., oxy-combustion, while trying to understand the combustion chemistry as well as the pollutant formation at a more fundamental level. Aside from the research aimed at coal powered stationary sources, electricity generation from alternative feedstock (AFs) (CO2, hydrogen, biofuels, etc.) gains more interests, and our approaches to the AFs ranged from fuel production like CO2 hydrogenation and biodiesel production to emission control, such as mitigation of NOx emissions from biodiesel engine. They use advanced spectroscopic techniques, such as photo-modulated infrared spectroscopy and infrared spectral imaging, to gain insight into molecular level processes on catalysts. They develop novel high-throughput screening methods to rapidly discover and optimize new material formulations for energy applications. The high-throughput techniques yield optimized catalysts within fractions of the time and budget of traditional sequential research strategies. Dr. Bither Padak group’s main research interests are in the field of combustion, reaction kinetics and emissions control technologies. As part of the SAGE center, our group aims to reduce the environmental impacts of generating electricity from coal, with a focus on the emissions of carbon dioxide, nitrogen oxides, sulfur oxides and trace metals, i.e., mercury, arsenic and selenium. Our goal is to reduce pollutant emissions from power plants by developing novel materials while trying to understand the combustion chemistry at a fundamental level. Our lab is equipped with bench-scale experimental systems to elucidate the flame chemistry and combustion kinetics as well as the pollutant formation. We also employ electronic structure calculations to develop kinetic models and investigate surface interactions. The molecular modeling predictions are validated employing spectroscopic techniques to understand the surface chemistry. Areas of application include oxy-combustion of coal, natural gas and high hydrogen content fuel combustion in gas turbines, selective catalytic reduction and mercury control technologies. Materials are used in every engineering application. Although often thought of as static, materials react and interact dynamically with their environment. They change their structure, influence external chemistries, and transduce signals for display. While the initial composition and nanostructure of a material strongly influence its short term response to external forces, prolonged exposure to external stimuli effect changes at both the nano and macro scale. 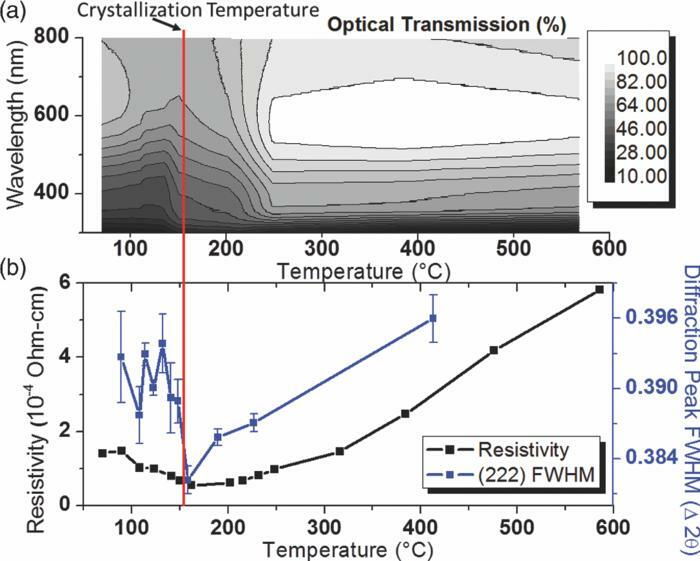 Oxidation, reduction, 1st and 2nd order magneto-structural phase transformations, coarsening of nanoparticles, and precipitation of secondary phases are all examples of how materials equilibrate to obey thermodynamic demands. The initial formulation of a material (composition, nanostructure, and processing temperature) behaves as its DNA: dictating how, and to what magnitude, it responds to external stimuli. Thus, the rapid discovery of new materials with novel or optimized environmental interactions relies on our ability to systematically explore a complex multi-dimensional phase space in which many of the parameters are interdependent. Dr. Jason Hattrick-Simpers' lab extensively applies high-throughput methods to discover and understand how novel materials perform during operation in the harsh environments required for energy applications. In high-throughput experiments, hundreds of samples with different combinations of the parameters that define a phase space are synthesized and characterized in a single set of experiments. Particular topics of interest include oxidation and corrosion of metals at high temperatures and pressures, reliable detection of incomplete-combustion byproducts, and catalyst formulations to convert CO and CO2 into transportation fuels. Emphasis is placed on monitoring phase and nanostructure evolution of the materials in-situ at pressures up to 1 kbar and temperatures as high as 1200°C via parallel imaging and scanning spectroscopic measurement techniques. The images represent the three main areas of research for this center.